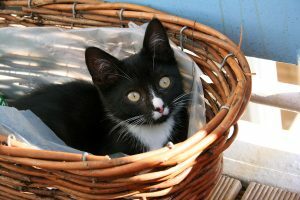 Cat Advice.co.uk is a free to use cat care resource containing expert advice and articles on a wide variety of cat ownership issues. One of the most important things to consider when bringing home your new cat is it’s health and nutrition. A balanced, healthy diet is essential to the growth and well being of your kitten. Variety in a diet is always important as it ensures two things. Firstly, that the cat receives a wide range of nutrients to promote health and growth, secondly it will prevent her from getting bored of what she eats. Cats can be quite fussy eaters. To ensure a healthy supply of protein, include offal, fish and eggs in her diet. To promote good eyesight, taurine is an effective option. Cats enjoy fat in their diet. A moderate supply of fat is healthy and is a good source of vitamins A, D and E. Calcium is essential for healthy teeth and bones, this is found in milk but not often found in canned foods. Milk is often a good supplement for canned foods which alone, can sometimes provide inadequate for growing cats. It is possible to over-feed or under-feed your cat. Be sure to monitor her weight and level of activity carefully and adjust food intake levels accordingly. It is less likely that you will over-feed a kitten than you will a more mature, less active cat. Nevertheless, always pay close attention to weight and mobility. Canned foods offer a quick and easy way to feed your pet but sometimes do not provide adequate nutrients for a growing cat. 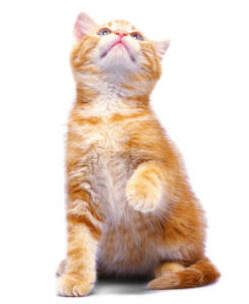 It is you role as a responsible cat owner to find out which type offers your cat the best nutrition. Many commercial brands have a variety of different ‘dishes’ and kitten food. The same brands often advise cat owners to supplement the pre-preared food with milk and non-canned nutrients. Whiskas offer a specially formulated milk which is digested more easily by young cats. 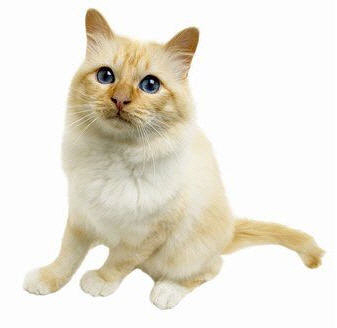 Certain cats find it difficult to digest milk if it has not been treated in order to remove certain enzymes. A cat should not be fed on a human diet. Their digestive systems are not as resilient as dog’s and they would find it difficult to cope with bits of steak or sausages handed down from the dinner table. Cat owners wishing to feed their cats on a strictly vegetarian diet should do so with caution. It is important to remember that cats are meat eaters by nature. Their digestive systems are not designed to be deprived of meat. A cat gets many of it’s essential vitamins and minerals from meat so consider the implications of this before you make the final decision. If any cat owner is unsure of how to be feeding their cat they should their vet or a dietician. We know a lot of our cat loving visitors love to read cat magazines and one of the questions we get asked the most is; what is the best cat magazine? Consider this, you have just got this cute little kitten, you are prepared, you have got a nice warm home for it, the litter tray is ready and waiting for action, the kitten’s toys are on standby and your cupboard is stocked with food and drink for the little one. ‘What’s it called?’ some one says, you stare expressionless at them, tumbleweed blows across your living room. The naming of your cat is one of the first steps in creating a long lasting bond with your cat, it is not a decision to be taken lightly, give the matter some thought, and whilst you are thinking, read these tips, they may help you, they may not. If you are going to choose a ‘Fifi Trixibelle’ type name for your cat, try to make sure that the name can be shortened, preferably to no longer than two syllables. Make sure that you are comfortable with the shorter version, as you will probably find that you use it more. A shorter name is also easier for the cat to learn. If you have ever lost your cat it can be an upsetting experience. Most cats don’t actually run away or stray from home. We all know cats like to explore new places, sometimes, though, this could end up with them getting trapped. They can also get lost if they are investigating new territory, and even sometimes they can be taken away by circumstances not of their own doing. When a cat is ill or injured it may seek haven in a safe dark place but very rarely do cats leave their home, even if badly treated. Try not to panic too much if you can’t find your cat, but start a thorough search as soon as you realise as any delay could put your cat at risk. It is sometimes advisable to take a minute to think like your cat; after all, you will probably know where it tends to be, and what it tends to do on a day-to-day basis. Cats are excellent at hiding so I would be advise that you look around the house carefully, then double check. Even in spaces you think that a cat couldn’t fit there is a chance that they can. Listen for any sounds of stress, as cats like to explore weird spaces and can be innocently drawn to dark places. If your sure the cat is nowhere in the house, then check your front and back gardens and in the shed or green house if you have one.